Having tried to stay away from spoilers posted on twitter by @DLPTreasures (Whose new blog I do recommend you read by clicking here), I finally gave in. 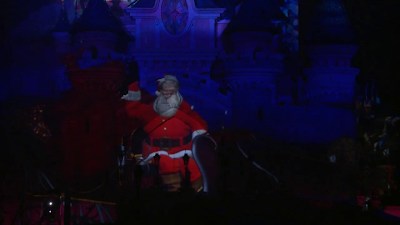 I saw his photos and was blown away by the entire new show, whilst not a surprise the quality seems high and I think we can be expecting a real treat this Christmas. 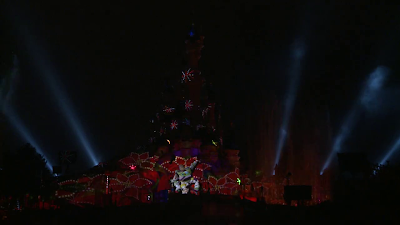 Now, as you know I’m a bit of a fan of the festive season at Disneyland Paris (I’ve been keeping a tracker since the site launched in July!). Today, Disneyland Paris finally released a 1 minute trailer featuring footage from the show, which I certainly recommend you take a look at. But, as I tried to avoid spoilers, and I know some of you are also trying, I’m attaching a SPOILER ALERT to this post from this point onwards, as I will try to ‘dissect’ this promotional video. Nutcracker sequence since these toys are traditionally linked to this very famous piece of music. To me, one of the most interesting (and perhaps exciting) pieces on this video was a small snapshot of Mickey and Minnie ice skating through a wintery scene, depending on the length could we claim this as Mickey’s first real Disney Dreams appearance (and yes, I am aware he features briefly in the Be Our Guest segment of the normal show), but also making an appearance will be chip and dale and the 101 dalmatians. 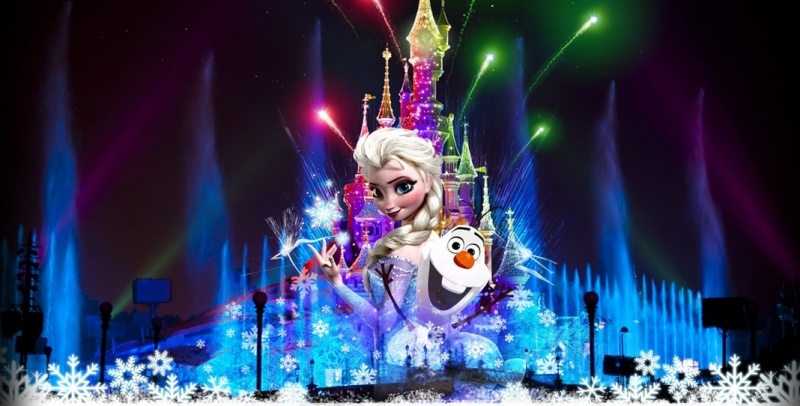 Obviously we can expect Frozen to take a reasonably large part in this incarnation of Disney Dreams, especially with Olaf featuring as the main character in the way that Shadow is represented in Disney Dreams! There also seems to be elements of a more traditional Christmas as a toy train appears on the castle snaking around. 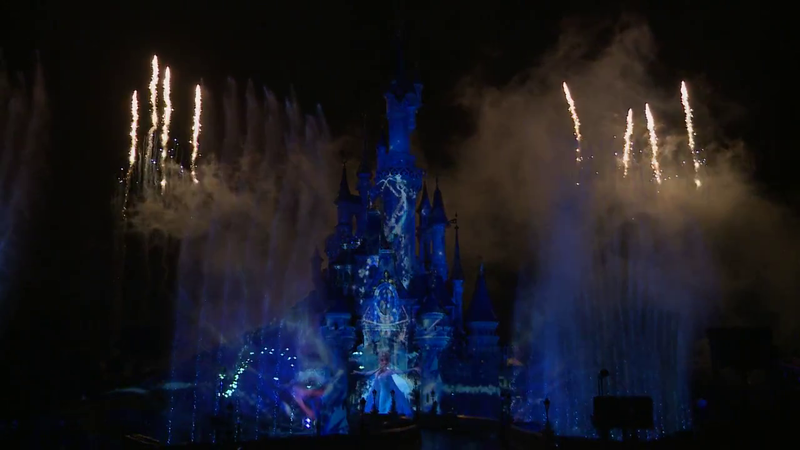 Perhaps the star of this show will be the aforementioned Toy Story nutcracker sequence, which from the clips shown in this video looks to be spectacular (in perhaps a similar way to Never had a friend like me is currently). 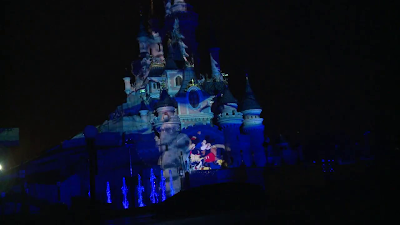 Steve Davison appears on the video and tells us to expect scenes from Fantasia, 101 Dalmatians and Frozen in additional to ones that have already been rumoured such as Bambi. 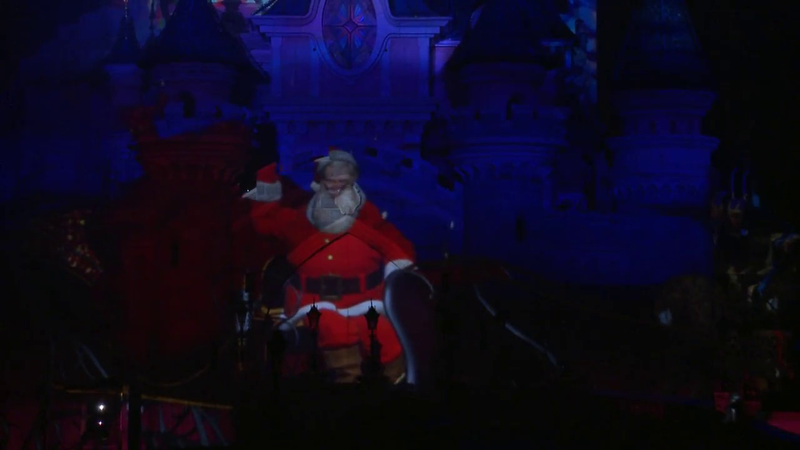 As Santa Claus himself wraps up the video, we can safely say the show looks fantastic and that it will be a unmissable feature of the Disneyland Paris Christmas season for years to come. Personally, I cannot wait for those first videos to appear on YouTube and to be blown away, and I know many of you feel the same way.